At the end of the day, it’s the organization’s fundraising culture that makes the most difference. Organizations that believe in and nurture a sense of philanthropy will always raise the money they need to help move their mission forward. 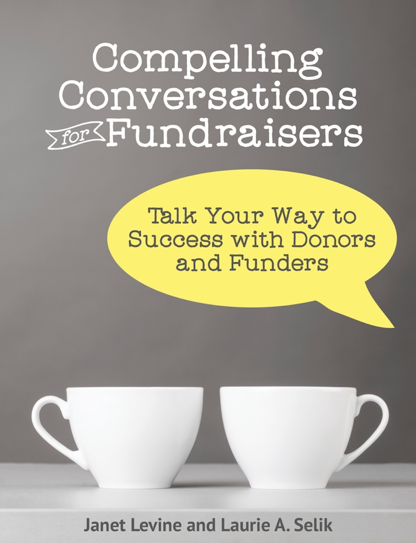 These organizations believe that fundraising is a good thing; something that helps makes an enormous and very positive difference for the organization, for clients, and yes, for donors. These organizations are committed to philanthropy. The CEO knows that fundraising is her job. The janitor knows it is her job, too. As does everyone in between. And everyone can talk the talk. That is, everyone connected to the organization knows what you do—not necessarily the many activities you may engage in but the outcomes that those activities support—and why you do it. Beyond talking the talk, everyone understands that the conversations they have must become part of the organizational record. So your staff knows who they need to debrief after a conversation with a donor or potential supporter. They also know when they should discuss an upcoming conversation and why that matters. Volunteers and donors also are aware that part of what they do for the organization is help to spread the word. They are your best ambassadors, and they take their role seriously. They do so because the staff supports them, helps to facilitate their efforts, and acknowledges them for what they do. Board is clear that they did sign up for this. And they are excited (even though some may be a bit frightened) about asking others to join with them in being supporters. They are willing partners in bringing others to the table; they understand what makes a good donor—and who might be a candidate to succeed them on the board! They also know that raising money costs money. They are willing to invest so that the necessary resources are available. These things don’t just happen. They have to be modeled and taught. The culture of philanthropy must be nurtured—just as we nurture those who are philanthropists at our organizations. We have to teach our staff, our board, our donors how to be part of the development cycle. Indeed, we need to teach them what that cycle is. And we have to show them that by being part of this cycle, they contribute to the success of our organization. Success is what I’m really talking about here—the ability for your organization to achieve its goals, accomplish its mission, be a winner. When nonprofit organizations achieve that, we are all the richer for it. This entry was posted in fundraising and tagged Ask, cultivation, culture of philanthropy, development, donors, fundraising, Philanthropy. Bookmark the permalink.